The Sweetwater Camera Club, Inc. meets the second ( 2nd ) Thursday of each month (unless otherwise noted on calendar) at the Douglasville Conference Center, Room 1, 6700 Church Street, Douglasville, GA 30134, unless a special event requires a different venue. 6:00 PM door opens, 7:00 PM meeting begins. Meetings consist of a brief business meeting, a presentation, photo critiques and the judging of the monthly photo competitions. Alcohol, smoking, or pets are not allowed in this venue. Sweetwater Camera Club is proud to have Amanda Gardner for this months guest speaker. 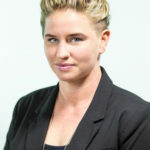 Amanda will be instructing us about the art of photographing food. Instructor at Atlanta School of Photography. and is enjoying the people and culture moving along with it. Having a strong passion for photojournalism, living in the south has provided the perfect backdrop to be a visual storyteller. The people and their stories drive Amanda to be a better photographer, she believes knowing an individuals story, their past or sharing a laugh with them for 5 minutes is only going to improve the image. photography department. She has had the privilege of working alongside several heavy hitters in the Atlanta photo community and credits them for her technical abilities and knowledge. Amanda has received a PPA International Silver award and Best Image award in China and has also had the opportunity to work the PPA International Print Competition the last three years. Her motto is to do what you enjoy and enjoy what you do! 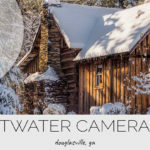 The Sweetwater Camera Club, Inc. meets the second Thursday of each month at the Douglasville Conference Center, 25 Church Street, Room 1, Douglasville, GA 30134 unless a special event requires a different venue. Doors open at 6:00 PM and the meetings begin a 7:00 PM. Meetings consist of a brief business meeting, a presentation, a photo critique and the judging of the monthly photo contests. The Sweetwater Camera Club meets the second ( 2nd ) Thursday of each month (unless otherwise noted on calendar), except December (which is off property) . Copyright © 2019 Sweetwater Camera Club, Inc.